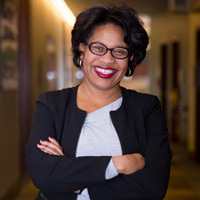 On March 29, the Webster University transfer team partnered with advisors at Saint Louis Community College-Meramec (STLCC) for a program geared toward current and future prospective transfer students. Current Webster students, who transferred here from STLCC, were on hand to answer questions from the student perspective and talk about their transfer experience. 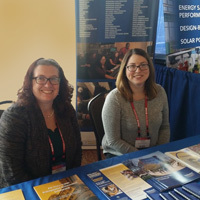 Webster University took part as a sponsor of the Phi Theta Kappa Missouri Regional Convention in Branson, Missouri, March 8 and 9. 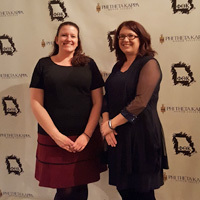 Transfer Admissions Representatives Stacey Tunnicliff and Damian Whitney were present at the sponsorship table, general sessions, and college fair throughout the Convention to support the Phi Theta Kappa Honor Society and to promote the University to prospective students. The Office of Admission will host a candidate interview for the position of director of undergraduate admission on Thursday, March 7. This position fills a critical strategic leadership role in the recruitment of new students to the Webster Groves home campus. All faculty and staff are invited to attend an open forum session to meet the candidate from 1:30–2:30 p.m. in the Webster Groves Room in Webster Hall to assess the candidate’s qualifications. The Welcome Student Committee is in need of your help staffing tables during the weeks of Jan. 7-11 and Jan. 14-17, to welcome new and returning graduate students. If you are interested in offering your time and energy, please sign-up to volunteer. We hope to see you as we welcome our new students to campus! 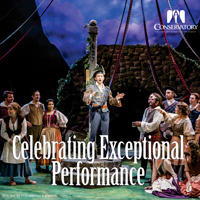 Webster University was a sponsor for the 54th Annual Convention of the Missouri Community College Association in Branson, Missouri, Nov. 7-9, a gathering of faculty, staff, administrators, and trustees from the state’s 12 community colleges. The Office of Admission's Chrissy Gilbert and Kelsey Bourne attended the convention, representing Webster in the tradeshow, and also presented the breakout session How to Help Prepare Students for a Successful Transfer. 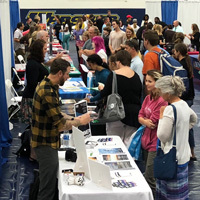 Webster University hosted the St. Louis Performing and Visual Arts College Fair on Oct. 8, connecting high school students interested in the fine and performing arts and entertainment arts, with colleges that offer those areas of study. Over 60 colleges participated, and approximately 400 students and parents attended. 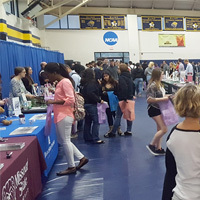 The Office of Admission, in partnership with Affton High School and the Missouri Association for College Admission Counseling (MOACAC) again hosted the annual South Central Regional College Fair on Webster’s campus on Sept. 18. 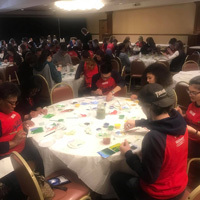 This event was expanded from a local to a regional college fair this year, heightening the turnout of both representatives from institutes of higher education and prospective students from the area. 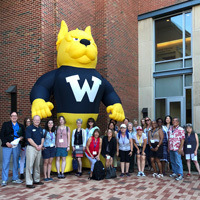 A group of 23 independent college counselors from around the country visited campus on Monday to learn more about Webster and the opportunities available for their students. The participants were welcomed by the Office of Admission, attended presentations by faculty and staff, toured the campus, and learned about services provided by the Academic Resource Center. The Office of Admission is hosting a candidate interview for the position of Director of Undergraduate and Graduate Admissions at the Webster Groves campus Monday, June 25, 1:30-2 p.m. in the Webster Groves room. This position serves a critical leadership and strategic need in the recruitment of new students to the Webster Groves home campus. Following the interview, attendees are asked to complete a candidate feedback survey. On April 27, 32 new members of Tau Sigma National Honor Society will be celebrated at the induction ceremony in the Browning Hall Auditorium. Tau Sigma is the national honor society designed exclusively for transfer students, to recognize and promote their academic excellence and involvement. 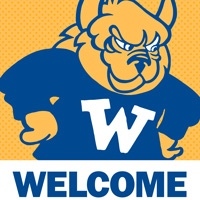 To become a member, transfer students must have completed at least 13 credit hours at Webster and have a GPA of 3.5 or higher in their first semester at Webster. Beginning the afternoon of Monday, Feb. 26, the University's Recruiter portal will be unavailable during a scheduled upgrade. We anticipate that the upgrade may take several days because of the size of Webster’s prospective student database. During the upgrade prospective students will be directed to temporary inquiry and application forms so that they will continue to be able to provide us with their contact information, apply for future terms, or register for upcoming events. 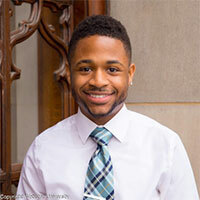 Corey Hawkins has accepted the position of Transitions Coordinator in the Academic Resource Center (ARC). He will transition from his current position as Coordinator for Minority Students in the Multicultural Center and International Student Affairs (MCISA) on Thursday, Nov. 16 to begin his new role in the ARC.